Composite restorations have been around for many years, and until 1982 there was only one option for composite, direct composite for use chair side. I saw that the chair-side application of direct composite had limitations. I also noted that laboratory fabrication of dental restorations has many advantages. My familiarity with chemistry and my curious nature showed me that composite is one of the most versatile and valuable materials in dentistry. This curiosity led me on a journey that started with a material from Europe called Isosit by Ivoclar. This material was used as a facial material for gold restorations that incorporated beads for retention. I brought this material to our research and development department and began conducting tests. My goal was to develop this material for an indirect application. 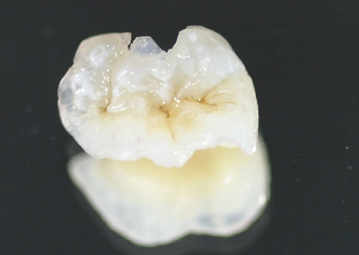 I teamed up with Dr. David James and Dean Swift, a scientist from Canada, and after two years of testing clinically, we had the beginnings of a new way to fabricate composite restorations. I was invited to Ivoclar -Liechtenstein, to present our research. In October of 1982, the President of Ivoclar approached me at a Las Vegas dental meeting and handed me the very first indirect composite sample –(2A) dentin. The product was ultimately called Concept and was the first indirect lab composite in the world. The industry soon understood the potential of this material many other brands of indirect composite would follow. 1) Cured composite shrinks. The material shrinks to the center of the volume. The percentage of shrinkage stays the same whether there is a small amount of material or a large amount of material. 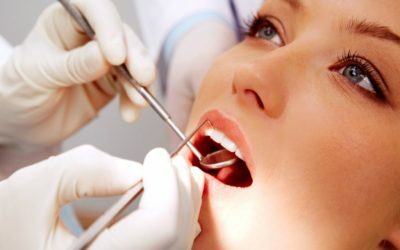 What this means is, when the dentist is polymerizing directly in the mouth the composite shrinks towards the center pulling away from the prep. This shrinkage can cause a space between the restoration and the prep. In the indirect process, the lab pre-polymerizes the restoration, and all the shrinkage already occurs. The only shrinkage that remains is a thin layer of the composite luting cement, which doesn’t stress and pull away from the prep. 2) A chairside composite when cured has inherent air bubbles. When the composite is mixed, it traps air bubbles, and these bubbles cannot be removed. All composites have an issue with bubbles. What we have learned from this is that the number of bubbles greatly influences the wear characterization of the material. Every air bubble has an oxygen inhibiting layer after curing. This means that there is a soft layer inside of the bubbles that did not cure. When these bubbles are exposed by shaping or wear the bubbles open, and the oxygen inhibiting layer falls apart. This issue is the reason that composite resin is known to wear faster than other materials. Alternatively, laboratory indirect composite is cured under high-pressure nitrogen that condenses the bubbles making them flat. The indirect composite method significantly reduces the issues with wear as well as water sorption and the potential of discoloration. When there are no bubbles there is no room for any contaminates to enter the material. 3) Direct light cure achieves 60% to 70% complete polymerization and may reach 80% after 24 hours. However, it never reaches complete polymerization. A lab composite is also cured under heat. This step ensures that the composite achieves a higher polymerization. 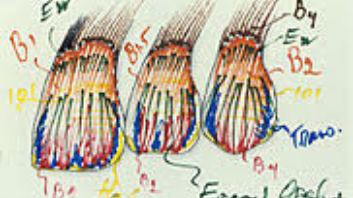 4) When working outside the mouth technicians have access to proximal areas and margins that are under the tissue. 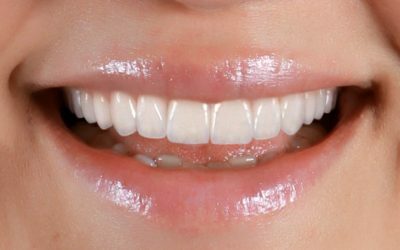 Also, the artistic capabilities of technicians to implement multiple layers in the right location and create a natural anatomy of the restoration is far superior to the results that are achieved directly in the mouth. 5) The ability to articulate the models and look at the composite restorations in the functional modes and the occlusal points of contacts make the indirect technique a great advantage. 6) In larger cases when posterior onlays or inlays are used, such as in the treatment of “permanent transitional bonding” cases, the time savings and the cost associated with the final results makes using indirect composite restorations the most efficient choice. 7) In composite, it is simple to improve colors and to match fine details. 8) The ability to polish the restorations chairside increases. It is simple to correct, change the surface texture or add a contact if needed and re-polish.